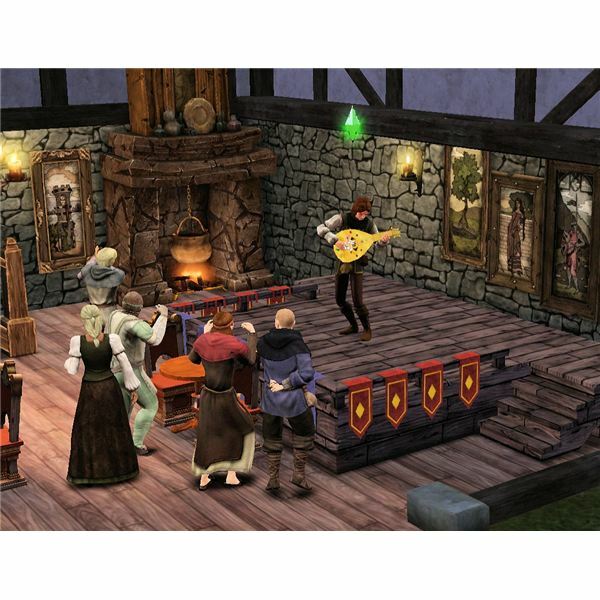 The Bard hero Sim in “The Sims Medieval” is the performer that has the skills able to captivate an audience’s attention and keep them coming back for more. You are able to play the Bard as a male or a female and select which clothes you want your hero to use. Only the main outfit is able to be chosen and custom colored. The sleepwear is set as default, so you cannot change that. The building that is associated with this hero is the tavern. 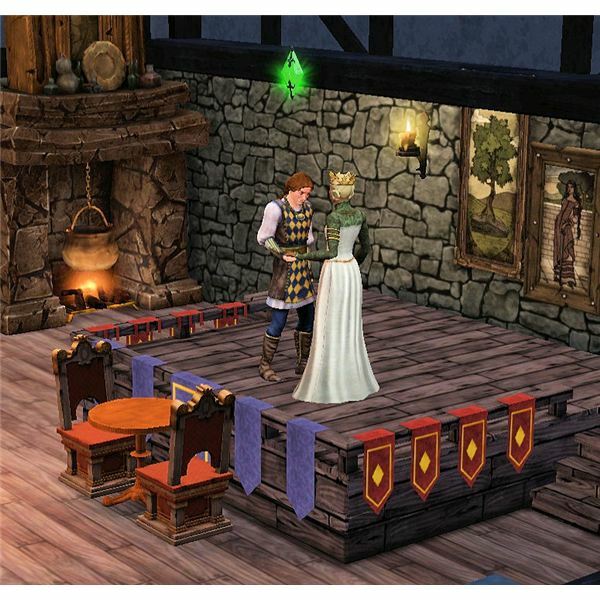 Once you place the tavern in your kingdom, you will then be able to create The Sims Medieval Bard for your kingdom. You can place this building in the Town Square at the designated location, if you have enough points to do so. 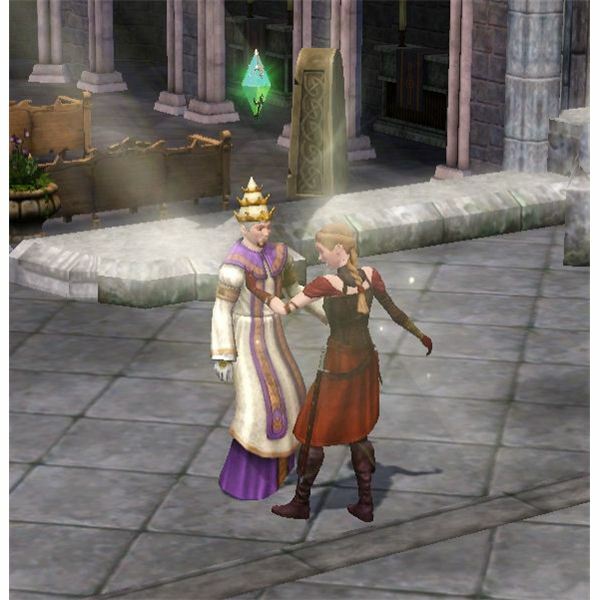 Each of the heroes in “The Sims 3 Medieval” use special items and have special abilities that only they are able to perform. 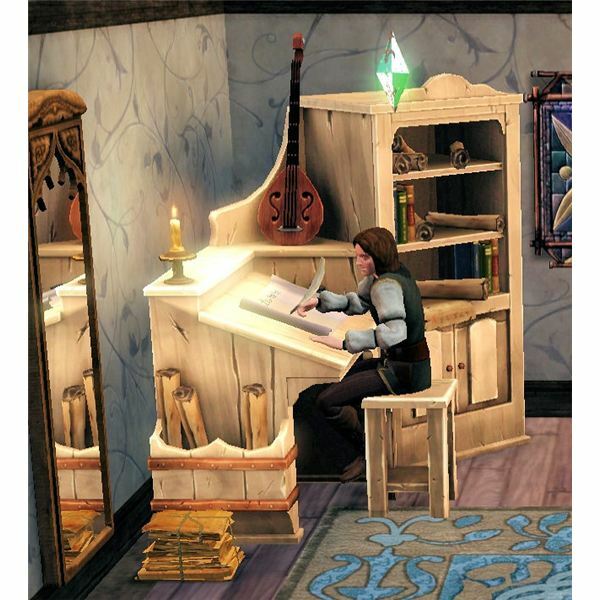 The Sims Medieval Bard uses special objects including: lute, stage, scribe table and the archive. The special abilities that the Bard in “The Sims Medieval” uses in game are all associated with music or performing in some form. The Bard is able to write poems and plays at the scribe table. This earns them experience points and also gives them poems to recite and plays to perform on stage. To write these masterpieces, a Bard must first be inspired to do so. To gain inspiration, you can ask other Sims for it or go somewhere to gather more of The Sims Medieval inspiration. Once your Bard has enough inspiration, they can use the scribe table to write a poem or a play. The Sims Medieval lute is another often used item by the Bard. They are able to play this to gain quick experience points (by practicing the lute), play songs for others and perform on stage. When The Sims Medieval Bard is performing on stage, they will earn experience points and once their performance is over, they will also gain money from the audience. You are able to buy an upgraded lute at the village. Making money is easy with The Sims Medieval cheats. However, not everyone always wants to cheat in their game. 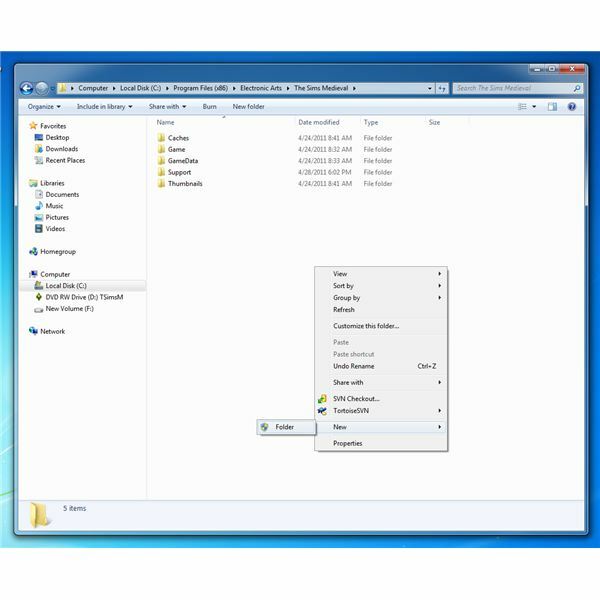 For those that want to play without the use of cheats, these are the ways that The Sims Medieval Hero Bard is able to make money. Daily Income – the daily income determined by the level of your Bard is given to you each game day. This ranges from 22 – 411. Playing the Lute – your hero will earn money by performing the lute in front of a crowd, such as on stage at the Tavern. Income is based on the hero’s level and the song that is played. Performing a Play – your hero will earn a good amount of Simoles for performing a play that they wrote. Be sure to recruit the same actors for your plays to earn more simoles! After the play is over, you can sell the script for even more money! Reciting Poetry – reading poetry is an easy way to earn some extra money for a Bard. Income is based on the audience that is around to hear the poem. The heroes in “The Sims Medieval Limited Edition” can only reach level 10. Once they reach level 10, their level is maxed out. As a hero advances through the levels, they will earn more money each day as their base income, earn more benefits and also unlock certain skills according to their profession. The Sims Medieval hero Bard level progression can be seen below.